Efficient and reliable, as well as performing and silent, the new motors designed and manufactured by Oemer can offer high efficiency in the whole range of speed and load and satisfy the requirements demanded by the “Super Premium Efficiency – IE4” regulation. They are available with both liquid- and air-cooling, in seven different sizes and in three different versions. An array of operational opportunities able to meet the most varied applications. 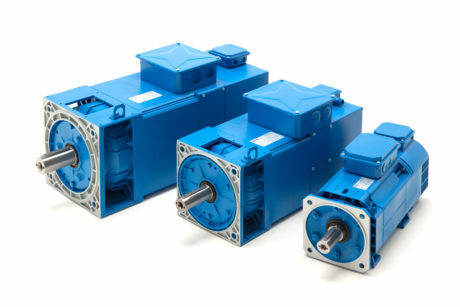 Experience, know-how and competences, as well as adequate technologies, allow Oemer to design and to implement a broad range of performing, reliable and high-quality electric motors, which find application in manifold operational ambits. The production addresses in fact highly diversified customers, including manufacturers of transmission gears, machines, plants and power electronics, besides players in trade and automation in general. A variegated production of solutions, fruit of unceasing research and development activities, to be able to rank constantly on the market with the release of interesting novelties. As in the case of the new range called QSR – SincroSPE, that is to say a line of synchronous reluctance motors with square lamination stack. «They are motors – explains the managing director, Franco Landonio – designed by exploiting the reluctance principle that, thanks to the elimination of rotor losses, allows a significant efficiency improvement, especially in the operational conditions of partial speed and load. Such peculiarity makes this motor typology perfectly able to satisfy the requisites of very high efficiency demanded by the “Super Premium Efficiency – IE4” regulation». The new synchronous reluctance Oemer QSR – SincroSPE motors are available with both liquid- and air-cooling, in seven different sizes and in three different versions. An array of opportunities able to satisfy the most various applications. More in detail, the version called QSR/QSRa is suitable for variable speed use through inverter power supply, with IP 54 (QSR) or IP23 (QSRa) protection degree. The QASR version, variant with permanent rotor magnets, is instead characterized by the further increment of performances and efficiency. QCSR is finally the execution with start cage and can be used in bivalent manner. «The latter can be directly powered by three-phase net – specifies Landonio – with fixed frequency and synchronous revolutions without sliding, or by inverter, for uses with speed variation». This new range was devised and developed by Oemer as soon as inverters able to pilot and to power synchronous reluctance motors were made available on the market. «The reluctance technology – adds Landonio – has been renowned and known for a long time but it has lived important developments in these last years only. In other words, since when the variable speed control has allowed satisfying specific applicative requirements that were previously unfeasible». The Lombard company has so decided to enter the market with a differentiating modular motor structure, compared to its other ranges, just by structural typology. «We use the same components used for asynchronous motors – further explains Landonio – essentially with the only exception of rotor and winding. Passive parts such as shields, shafts and terminal board groups remain in fact the same. Peculiar, compared to what available on the market in terms of mass production of reluctance motors, is also the structural characteristic of our executions with square lamination stack». 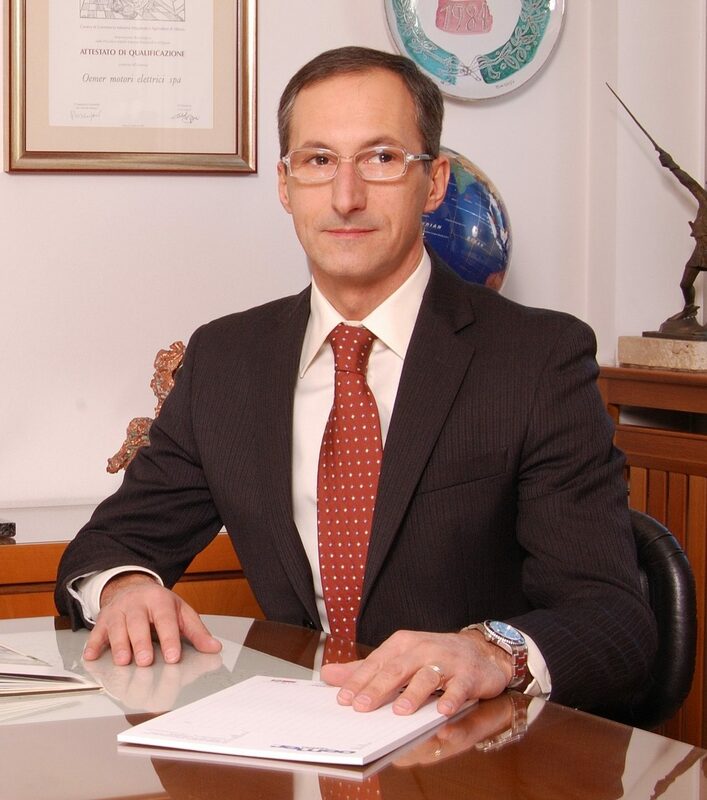 Franco Landonio, managing director of Oemer, headquartered at Rescaldina (Milan, Italy). As already highlighted, the mechanical structure of the new QSR motors is similar to the one of the Oemer asynchronous motors of the HQL series. «This aspect – outlines Landonio – not only allows a flexible and modular production, thanks to the use of several components in common, but permits also the full interchangeability with other items in catalogues, besides the possibility of customizing single motors with a broad choice of dedicated accessories». Worth highlighting that Oemer has directly managed, coordinated and developed in-house the entire project with its own technical division. «We started from the synchronous motor, depriving it of the rotor – explains Landonio – and afterwards redesigned a reluctance rotor compatible with the electromagnetic solution of the asynchronous motor. Approach that has allowed us to speed up the development phase and to release the new range on the market in reasonable times and to concentrate investments and resources on active parts only. Naturally, after in-depth analyses with a preliminary test phase in the test room, anyway still in course, to grant the operation with the almost totality of the available inverters on the market». This has resulted in the availability, in quite short times, not only of versions to be configured with either liquid- or air-cooling, but especially in the seven different sizes, with axis height of 80, 100, 132, 160, 180 and 225 mm. For a power range included between a minimum of 1.1 and a maximum of 350 kW at 1,500 rpm. «Power values – adds Landonio – that in the course of next year will be further widened with 280 mm axis height and maximum 500 kW-power». Simplicity of the motor, reliability and sturdiness are the main strong points of this new range, combined with performances and high efficiency. «Executions that – adds Landonio – due to their ideation and implementation, represent valid alternatives of state-of-the-art square lamination motors, both as completion and as upgrade replacement on plants with already existing motors. Without mechanically disrupting the present structure». Perfect integrability into the machine structure, then, but also new motors able to grant high efficiency in the entire speed and load range, high power delivered to the axis in relation to the outer volume, low rotor inertia moment, high rotation precision and drastically reduced noise. «The new QSR – SincroSPE range – confirms Landonio – stands out also for maintenance. Ordinary maintenance, in fact, does not need special equipment and highly skilled personnel, as required for permanent magnet rotors». In short, a high-efficiency solution that can be used where are demanded consistent torque (indicatively exceeding 30-50 Nm), a wide change in speed variation (from few revolutions up to 3-4,000 rpm), load variability and low inertia. 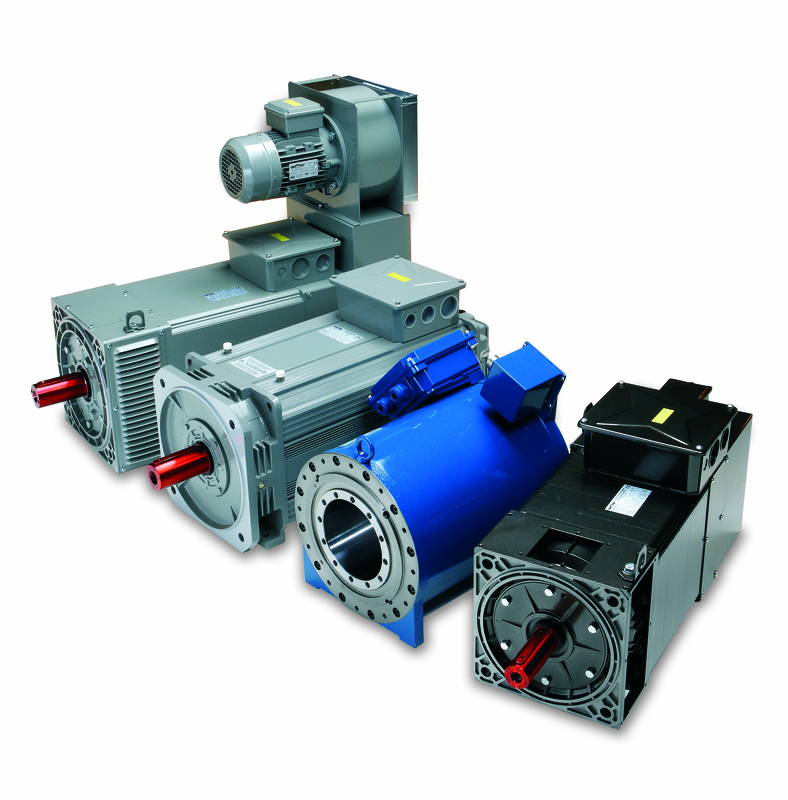 With the added-value, for these motors, of being ready to satisfy Industry 4.0 requisites. 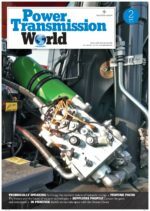 «It is clear – confirms Landonio – that a motor cannot be 4.0 in itself but it must be integrated. Concerning this, many of our customers already asked some time ago executions equipped with the necessary prearrangements or accessories, precisely, so that their plants and their machines can be supplied in compliance with what required by Industry 4.0». Attention to 4.0 that the company pays to its manufacturing processes as well. Oemer motor series QS/QLS, synchronous 3-phase motor with permanent magnets. «A course where we are committed– adds Landonio – to try to improve the management of each job order, with several of our machines already interconnected, and with software supervising all activities. Today we cannot define ourselves as 4.0 but the target is reaching this goal by specifically addressing our investments to technology and innovation». The entire product development cycle that, today, means a production of 12-13,000 motors yearly, with batches that range from the single unit (especially for big sizes) to dozens of pieces (for small-size motors), will benefit from that. With a trend towards an ever-increasing power density in the manufactured volume. Prerogatives that in any case consolidate Oemer as reliable and qualified partner to satisfy the requirements of the widest possible panel of customers: from small, medium and big national companies up to international Groups and multinationals. The new synchronous reluctance Oemer QSR – SincroSPE motors are available with both liquid- and air-cooling, in seven different sizes and in three different versions. «Attention to the product innovation and to the manufacturing capacity – underlines Landonio – that today, referring to the new range of mentioned motors, lets us rank among the few companies on the market able to deliver a square-shaped reluctance motor, or anyway, with lamination stack technology». Unceasing product innovation, competences, passion, constant pursuit of new targets and satisfaction of new market requirements. They are the distinguishing traits of Oemer, company established in 1949 by Ambrogio Landonio, real “self-made-man”, with a bent for all innovation kinds, who immediately guessed the fundamental role that the electric motor would play in the economic and technological development of our Country. ISO 9001-certified since 1999, today Oemer carries out its activity at Rescaldina headquarters (MI), on a surface of almost 12,000 sq. m. (the half of which constituted by covered sheds), thanks to a united team of 35 employees, 4 of whom working in the technical office. With a turnover that for 2018 is expected to reach around 12 million Euros, the company exports about 40% (in tendential growth), not only in Europe, but also in Asia, North America and South America.